Does Westmont Of Brentwood, Inc offer the following services? 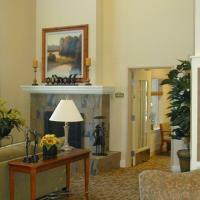 When it comes to searching for a senior living community for yourself or a loved one it can often feel daunting. 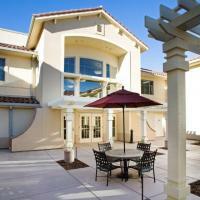 You want cutting-edge care in a friendly community that feels completely like home. You also want the peace of mind that comes with knowing you've placed trust in the right hands. Finding the balance between modern technology and a comfortable homelike setting can be the biggest challenge in selecting the perfect place to spend your days. 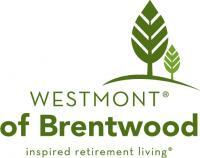 Westmont of Brentwood offers retirement living, assisted living, memory care, and respite care in Brentwood, California. We offer comfortable, attractive residences coupled with engaging activities and events so that you or your loved one is assured of well-being, attentive care and a life lived to its fullest capacity each day. We offer all of the modern accouterments you would expect from a cutting edge senior living facility while providing the highest standard of care for our residents. You'll find that our staff truly cares for each and every resident. 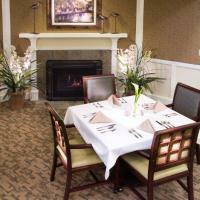 At Westmont of Brentwood, we have years of experience providing excellent senior housing and senior care in beautiful, comfortable surroundings. Come and see how much Westmont of Brentwood feels like home. You'll see as soon as you step foot onto the Westmont of Brentwood Senior Living campus, you'll know this is where you or your loved one belong. My grandma used to love it here. Unfortunately they have recently changed management, and my grandma says they will not let her take cereal to her room anymore. So if she cant get herself up and in the dining room by 8am she cant eat. She is 92 so she just hop into the car and drive on down to the store. It's pretty heartbreaking considering the am out of money it cost to live here. This facility provides a hostile work environment for their employees. They are bullied and afraid to stand up fearing firing. Hopefully, this environment will not negatively impact your loved ones. My mother in law was there and we felt she got excellent care. We were always notified the minute any changes were noted. She was very happy there. Her caretakers truly cared. We loved the family activities. They are not good at communicating about the condition of the resident. My mom was pushed around by another resident and the Ex Director and Program Director didn't call. They left that duty to a med-tech. She also had a rash with open sores on her back, and even though she is being showered, no one bother to tell me. I just happen to notice. Also apparently, they have found my mom naked in someone else's BED - twice over the last month and half. And they didn't tell me about until 6 weeks later. Hopefully my new hero will be James Nordman, the Ex Director who has been hired to "clean up" some of these issues.